As a romance writer, I should have found it easy stepping into the world of magic and fairytales. After all, isn’t Cinderella the ultimate romance heroine, with the ultimate happy ending? But I tend to forget that most fairytales, even if they have a happy-ever-after, also contain some grisly elements (like evil hags with bewitching powers and cannibalistic tendencies. Ugh!). It took some getting used to, but I’ve come to appreciate the darker side of the legendary bedtime stories so many of us grew up knowing by heart. First Bite--volume one in my co-authored series The Dark Woods Trilogy--explored the fragile power of the most evil of Queens, the innocence of Snow White, and the redemption of such figures as the Huntsman and a humble servant girl. In volume two, we built a Gingerbread House from snatches of German folk tales and a musical myth inspired by a composer's fascination with finding the human complexities in simple stories. Like all trilogies, however, a third volume was required. When my co-author and I agreed to draft that volume ahead of schedule what we needed most was an idea. And it had to be something traditional enough to match the previous two, but also something that would challenge us to tell a completely different story in a new style. The story of the fairy godmother was not among our original ideas for volume three; but to paraphrase the first lines of chapter one, bigger things can be born out of small suggestions. In this case, a novel was born out of a handful of little things: a love of modern fairytale narratives; admiration for Gordon Laite's illustrations for Cinderella; and the idea that no greater enigma exists in fairytales than the elusive and briefly-glimpsed fairy benefactress. So what makes a fairy godmother? Where do her powers come from? And how does she choose who to rescue in their most dire hour of need? It was stuff I had never even considered before, since seldom– if at all– does the storyteller explain how or why this mysterious figure chooses to save the day. Once the idea came up, we couldn’t resist imagining what lay behind the veil of the fairy world on a more human scale. Beneath the magic was the possibility for something very real and emotional. A chance to find feelings and freewill in the seemingly-perfect fairy being. This was how the heroine Baillie Albus (later known as Faenwick) became the central figure in this prequel to one of the most famous fairytales of all. Sullen, stubborn Baillie is far from the glamour of glittering wings and magic wands when destiny sweeps her into the world of magic. Luckily, her transformation is guided by the most legendary figure of the fairy world, whose own story is playing out its final moments even as Baillie's star is on the horizon. But if fairies have feelings, then it was impossible for Baillie not to question her future. And to find the darkness in the world of fairies irreconcilable with the light she supposedly represents in the world of men. Likewise, her mentor, the legendary Marimetsei, hides the subtle cracks in her own resolution even as she keeps other secrets about her triumphant tale in the human world. Legends are made, only to be forgotten; great victories are washed away by even greater ones. As the greatest accomplishment of the fairy world shatters around Baillie, her destiny hinges upon a simple choice. And perhaps there is nothing more human than a choice, after all. 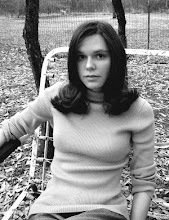 Laura Briggs is an author of both indie and traditionally published fiction. She made her writing debut in 2010 with Only In Novels, a romance novella from White Rose Publishing. Briggs’ latest releases from White Rose include Ghosts of Romances Past and Christmas With Miss Austen. 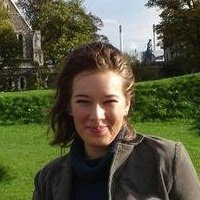 Her work with Sarah Steinbrenner on the Dark Woods Series will continue in 2012 with the release of a novella prequel to First Bite: the Wicked Queen’s Tale. You can find her at her writing blog or at The Dark Woods blog. But do they? When young Baillie Albus learns the truth of her own strange gifts and becomes an apprentice destined to grant a human’s wish, she discovers a complex existence… and darker truths…beneath the surface of a world that is both faerie and mankind. 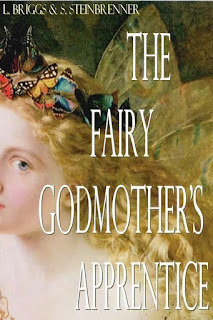 Laura generously offers an ebook copy of The Fairy Godmother's Apprentice to a lucky commenter. Giveaway is open worldwide and ends on 6 February 2012!